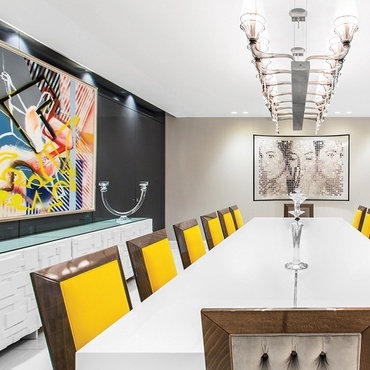 endows eight offices with serious wow factor. 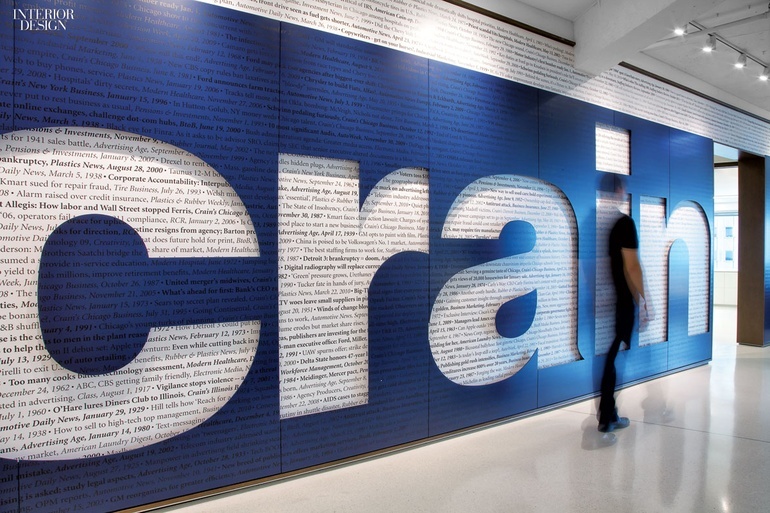 Standout: A century’s worth of headlines—none repeating—from Crain Communications publications bedeck walls on four floors of the company’s Chicago office. 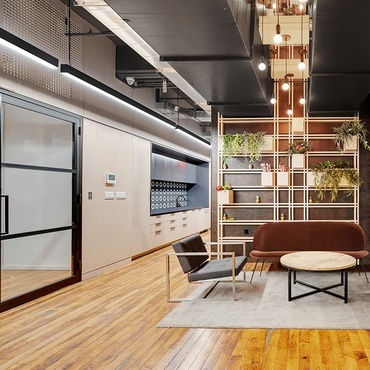 CBRE by Gensler Chicago. Photography by Eric Laignel. 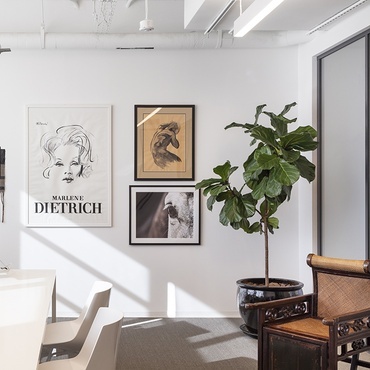 Standout: At CBRE in Chicago, magnetized snapshots of staffers backlit within a wooden frame introduce visitors to the team. 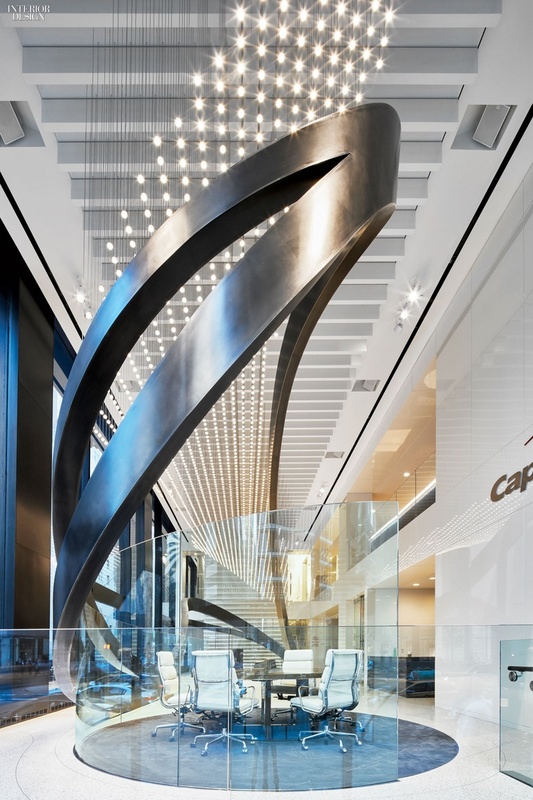 Capital One by Gensler New York. Photography by Garrett Rowland. Standout: Some 2,500 spheres twinkle above a titanium-and-steel sculpture that swoops up and over lobby seating vignettes at Capital One in New York. 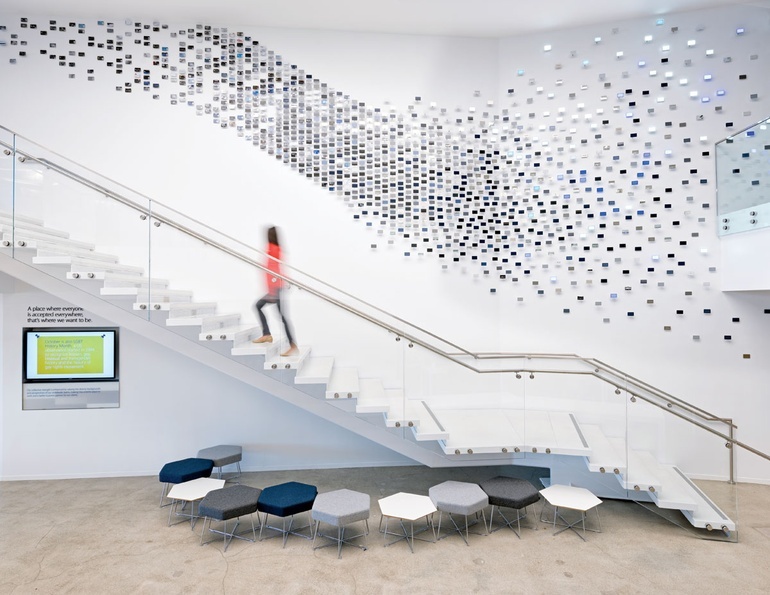 Vistamar School by Gensler Los Angeles. 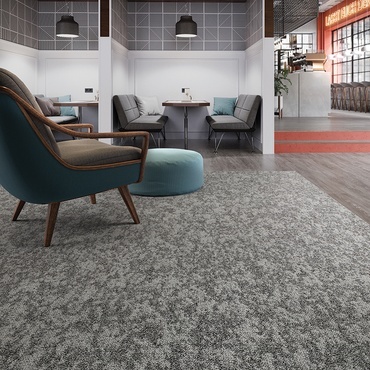 Photography by Ryan Gobuty/Gensler. 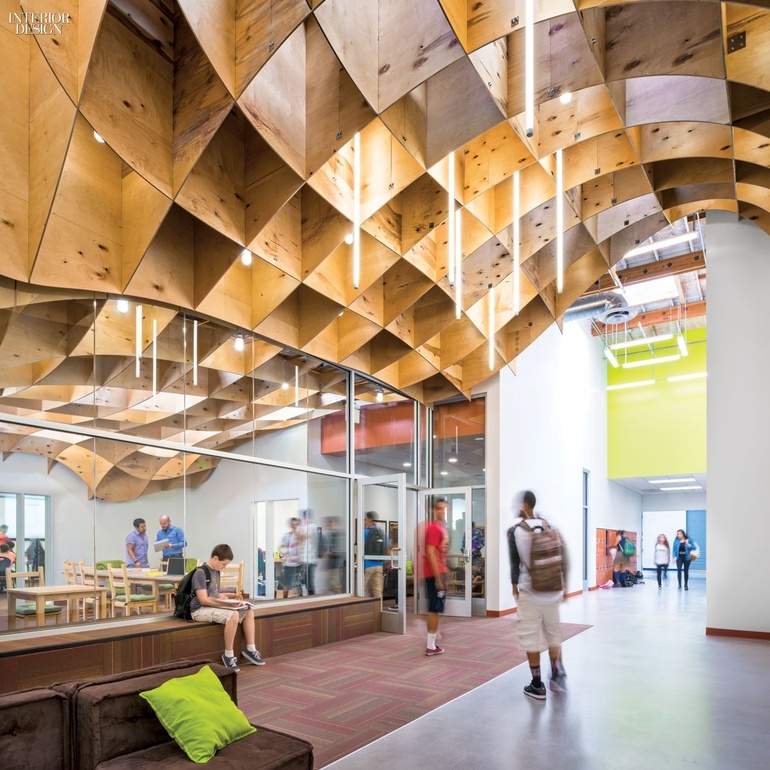 Standout: CNC-cut plywood panels interlock to create an undulating grid canopy in the former Xerox warehouse, now part of Vistamar School in Los Angeles. 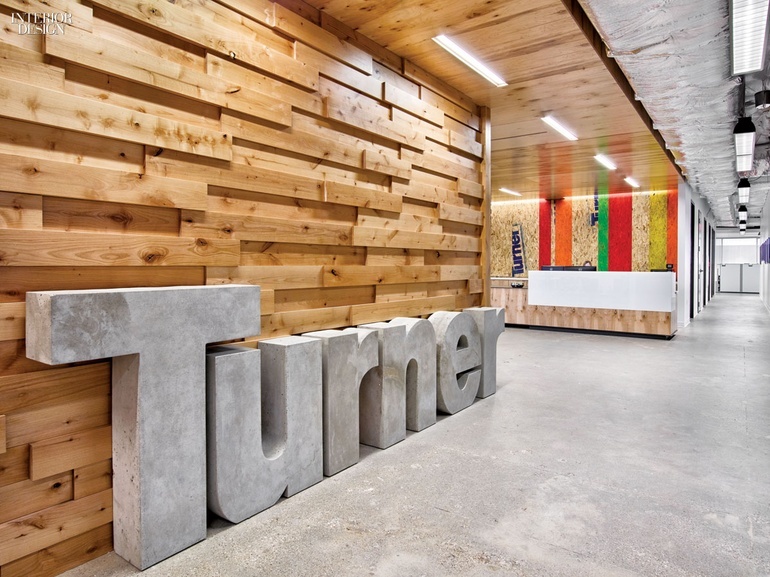 Turner Construction Company by Gensler Dallas. Photography by Garrett Rowland. Standout: In Dallas, cast concrete letter-forms and an alder-clad wall at Turner Construction Company showcase the industry’s robust materiality. 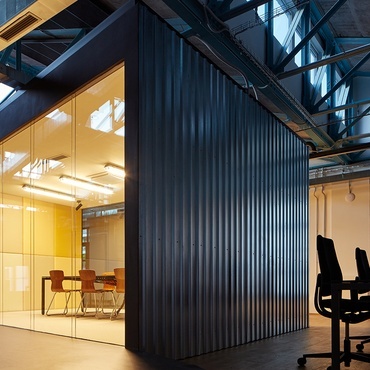 Visa by Gensler San Francisco. Photography by Jasper Sanidad. Standout: An artful bevy of credit cards, some painted or chromed, mingle with LEDs of the same size at Visa in San Francisco. 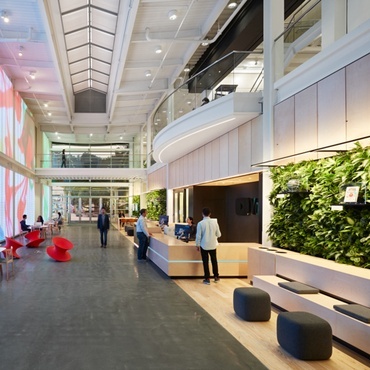 Hilti by Gensler Dallas. 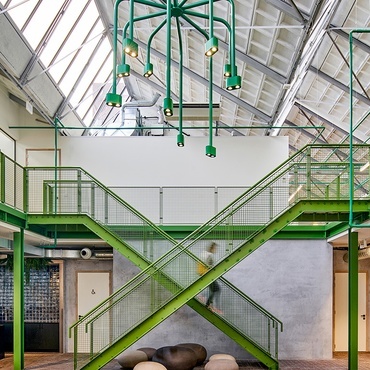 Photography by Ryan Gobuty/Gensler. 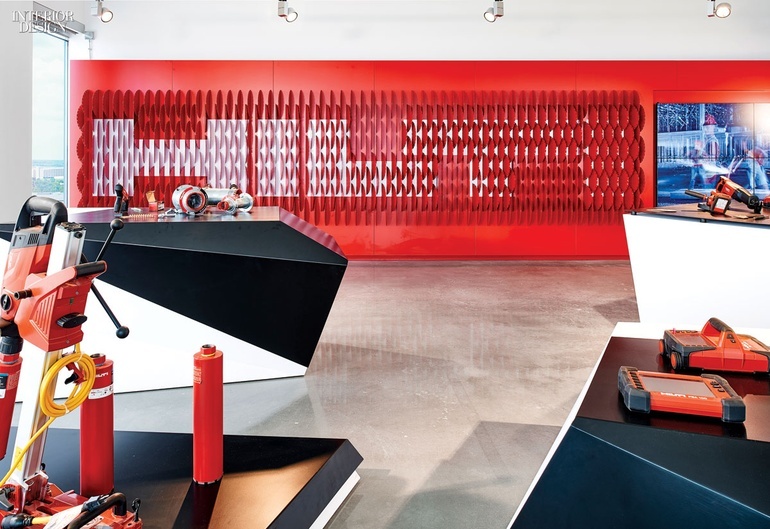 Standout: In Plano, Texas, the Hilti logo peeks through a wall of powder-coated-aluminum “saws,” fascimiles of the manufacturer’s own steel product. 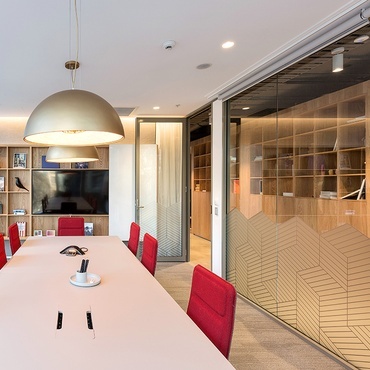 Yanmar by Gensler Tokyo. Photography by Masahiro Ishibashi. 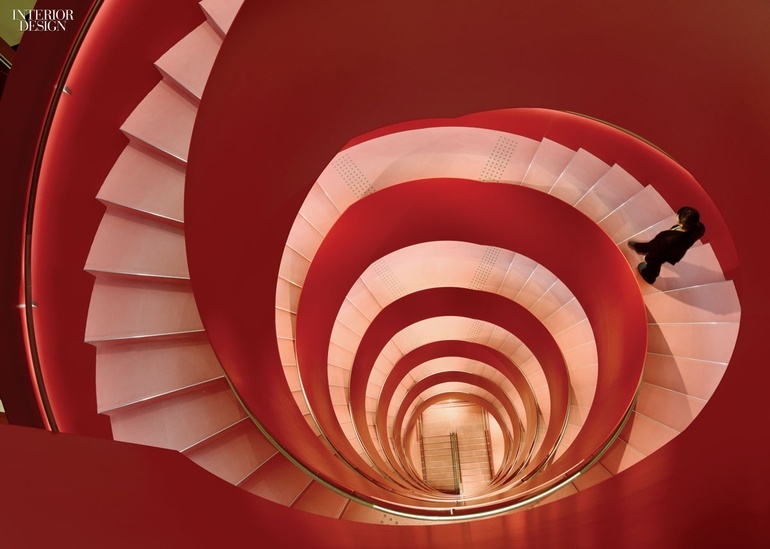 Standout: A steel staircase painted the company’s signature chili red spirals through eight floors at Yanmar in Osaka, Japan.